Providing you with the best quality welding services our company deals with all types of light, general and heavy duty welding of a wide variety of materials. Our company specializes in the welding and fabrication of materials such as aluminum mild steel and stainless steel. The challenges in any welding job irrespective of material or scale of the job are somewhat same. 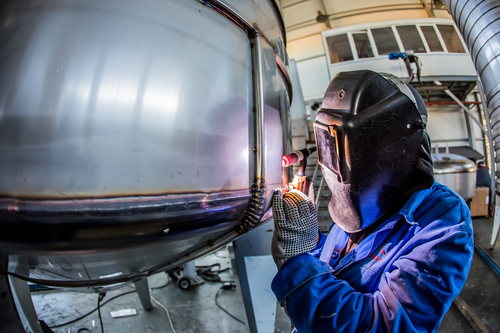 With high quality, safety and compliance requirements as a challenge we have developed a team of expert welders who will surely deliver the best welding work according to your requirements. Our welding services can offer a number different type of services to customers according to their needs. With a lot of service providers available in the market, it often becomes very difficult to choose the one that will give you the best quality services according to your needs and budget. It doesn’t matter what your building needs are welding services can definitely make the task easier for you. By creating heat and pressure on the surface of two metals the metals melt and then can be joined together creating a firm and unbreakable bond. As the technology is developing at a rapid rate a lot of development has been done in the field of welding as well. We now have a lot of different type of welding techniques. Each technique comes with its own advantages and disadvantages. 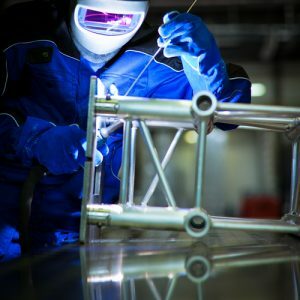 Certain materials can only be welded using a specific type of welding or a specific welding tool. Traditionally we only used fire to produce the heat and pressure that was required to weld two metallic sheets together. Now we have started using advanced technology such as laser beams to produce the heat required for welding. Another advanced technique being used is the Electronic beams which can produce enough heat to join together two parts together. Welding services can greatly help you in building a larger structure with help of different customized welding services. From canopy structures to small and more temporary structures such as sheds and shelters welding services can be used to quickly get the job done in an efficient way. Some high-end welding services also provide a variety of other services as well. These services include engineering repairs and component replacement. Another important service that most good welding service providers offer is the refurbishing and repairs of different mechanical parts or tools. After excessive use, some tools become wear down. Welding can be used to make them useful again. With highly trained work force and best quality material and equipment, we deliver the best quality welding services that arealways according to your need. Our workers are trained to the high international standards so that they can perform on any job with professional accuracy. By keeping in mind, the industry standards, we have trained our workforce and managed to get the best equipment available. We also keep your budget constraints in mind and make sure that you get the most reasonable prices for all your welding needs. © Copyright. Mobile Welding. 2017. All Rights Reserved.